The decades old Yavneh BCMH youth center is slated for demolition. AFTER A HALF CENTURY OF CONTINUOUS USE, THE “TEMPORARY” YAVNEH BUILDING WILL BE REPLACED WITH A STATE OF THE ART YOUTH CENTER. Bikur Cholim-Machzikay Hadath (BCMH), Seattle’s oldest congregation has experienced many changes in its short 123 years. Perhaps the most significant event though was its 1972 move from a grand building in Seattle’s Central District to a modern, bright synagogue in Seward Park. It was during the transition years between old and new that a temporary structure known as Yavneh was constructed (for under $50,000) in 1964 as a place of worship until the new permanent edifice was complete. 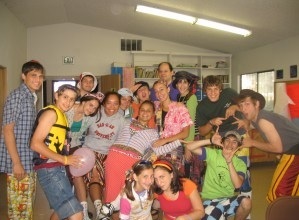 Once the congregants settled into their ornate sanctuary in the scenic Seward Park neighborhood, the “temporary” Yavneh building was creatively repurposed; serving as a youth center, hosting day camps, Shabbat and holiday programs, the NCSY teen youth group and even a Jewish day school. 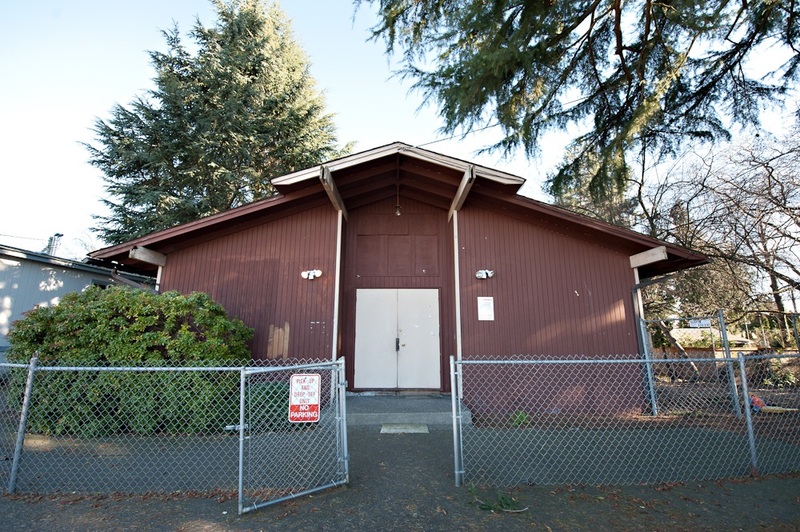 Yavneh memorably filled in as the emergency home for the Seattle Hebrew Academy (SHA) after the 2001 Nisqually earthquake inflicted serious damage upon their stately Capitol Hill location. The memories will live on once Yavneh is gone. Countless memories and decades of uninterrupted use by generations of Jewish children have taken their toll on Yavneh. By the end of last year the well worn building was no longer considered safe for public usage. 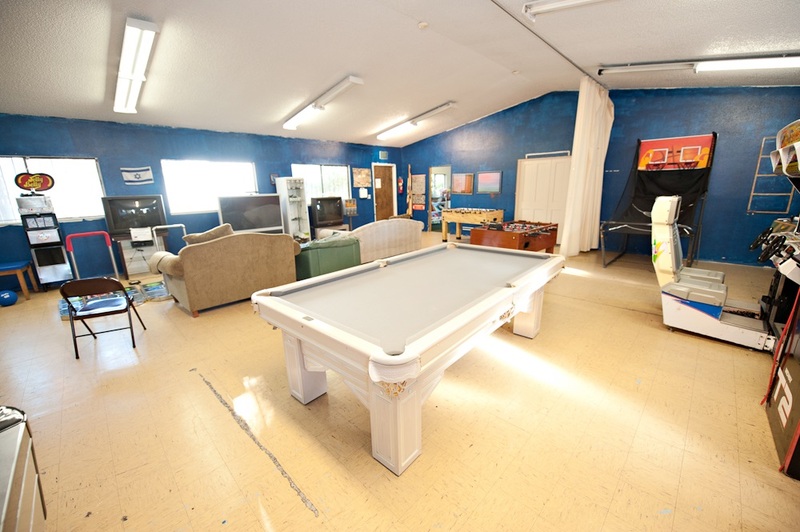 BCMH relocated their children’s programming into portables in their parking lot earlier this year, but without a much needed youth center a long term solution needed to be found. The BCMH board authorized the procurement of plans and permits last year and approved moving forward with preparations for construction at the November general meeting subject to a fundraising goal of $150,000. But it was only after a general meeting of the congregation this past December 1st that the synagogue leadership finally received the green light from the membership to hire a contractor and break ground . “Yavneh served us well and for much, much longer than those who had it built could ever have expected” said Dan Birk, President of the congregation. “Our new BCMH youth center will G-d willing serve us equally well for just as long and hopefully longer”. 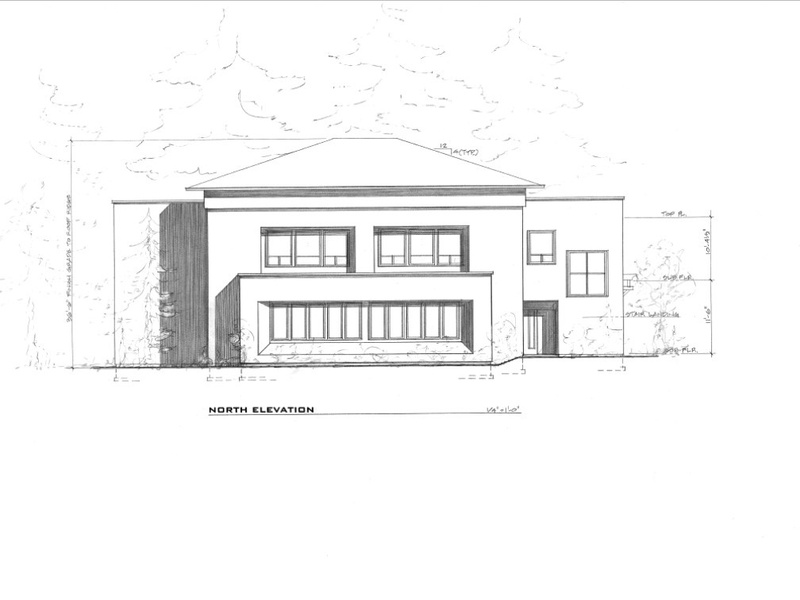 The new youth center to be built on the former Yavneh location will encompass 5,613 square feet on 2 floors, including 5 classrooms, a large multi purpose space – teen lounge, office for youth staff a kitchen, youth beit midrash and a Succah space for use of the congregation. Yavneh youth center in her heyday. This past Saturday night, a group of about thirty teens assembled to offer their final farewells to the venerable building. “Yavneh was more than a building, it was like a friend to us” said Salvo Behar a 14 year old member of the NCSY teen youth program. “There are more memories in here than I could ever count, and all of them good” recalled Behar. “I’m kind of sad about it being torn down but the new building will be even better”. After a dinner of grilled burgers and ribs the teens suited up in white overalls, protective glasses and hard hats. “It’s traumatic to the kids to lose Yavneh” said youth leader Hoffman “I thought it would be therapeutic to make them a part of the process”. 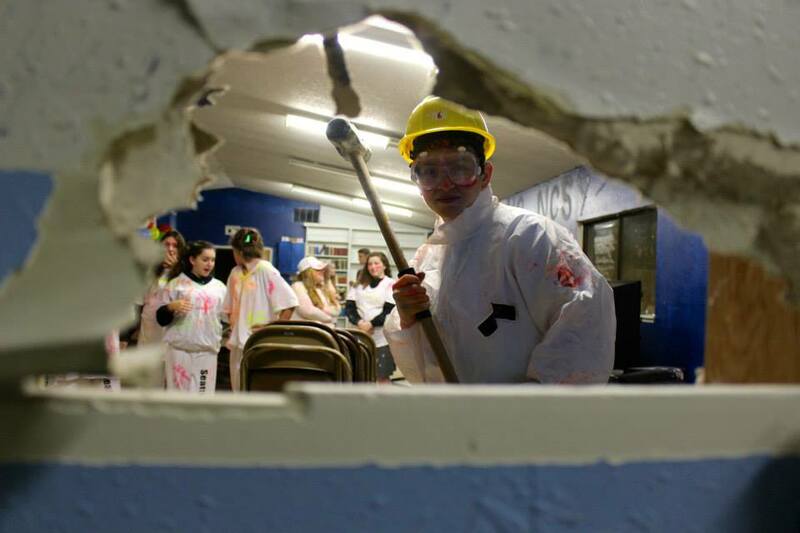 Hoffman handed the teens sledgehammers and after a series of sternly issued safety instructions let them go at it. Out with the old. 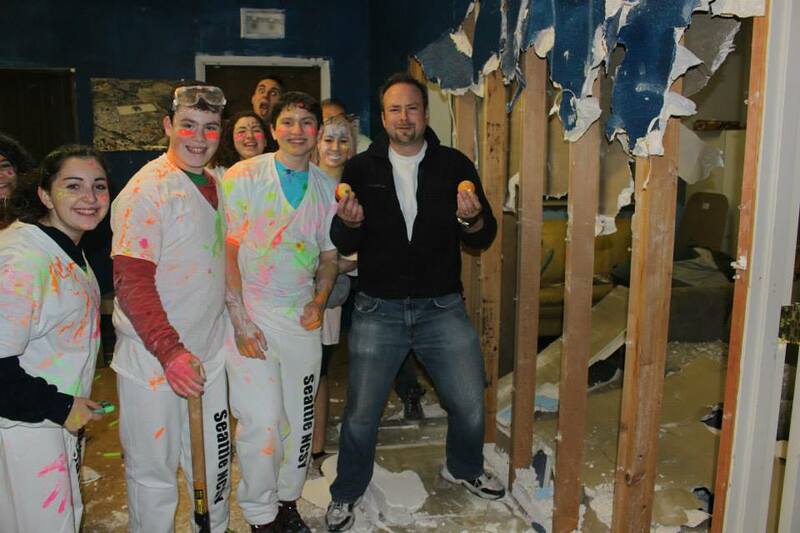 NCSY Yavneh demolition party. December 6. Taking full advantage of this new state of the art space, BCMH has plans to expand classes and programming for youth and adults during the week. The new building will house, BCMH Shabbat and holiday programming as well as weekend and weeknight events for youth, BCMH camps and the NCSY teen youth organization. 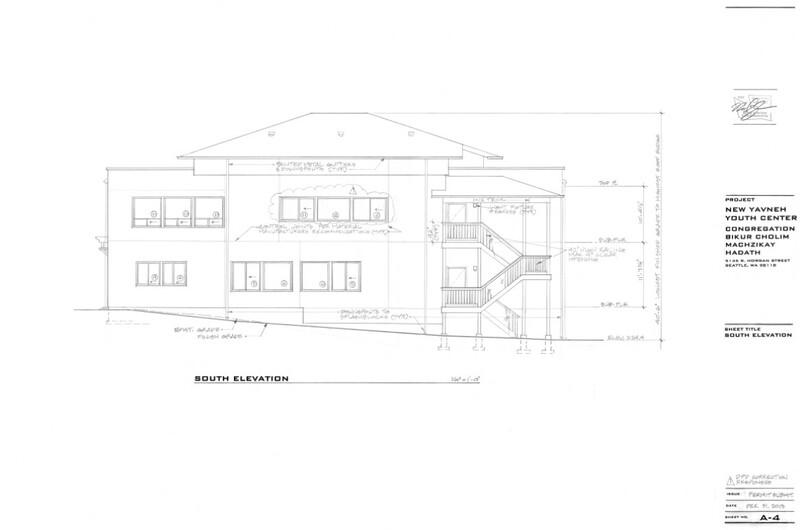 Plan for new BCMH Youth Center. A major anonymous donor for the project will be naming the building with the child victims of the Shoah and terror attacks in Israel in mind. A groundbreaking event is scheduled for Sunday January 4th, 2015. Rabbi Alan Kalinsky director of the West Coast Region of the Orthodox Union is expected to assist in the festivities. Donations towards the completion of the new BCMH youth building will be gladly accepted. For more information please contact Ari Hoffman at thehoffather@gmail.com.